Perfectly located at the fringe of Bailuzhou Park and Yundang Lake, the hotel is a 17-minute drive from the Gaoqi international airport. Popular tourist places such as the Nanputuo Temple, Gulangyu Island are both within a short drive of the hotel. Enjoy the lake views from the windows of your room. 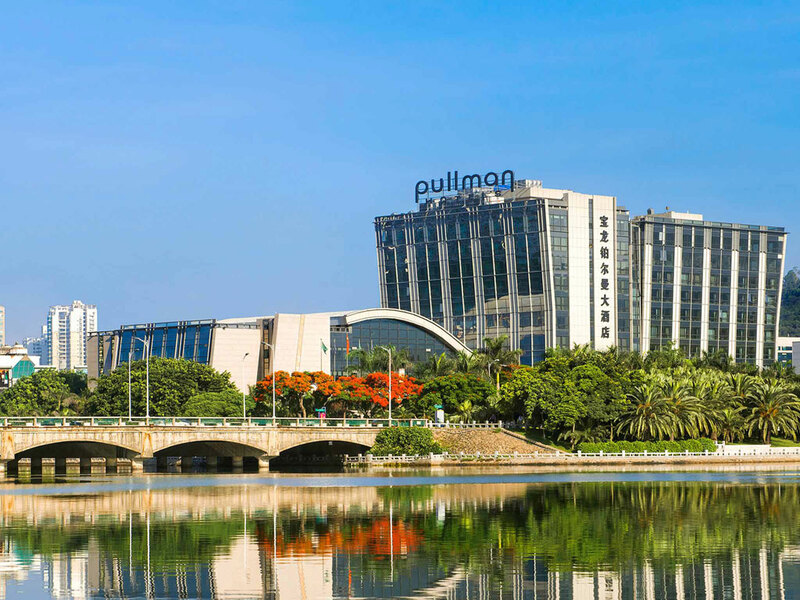 This is Xiamen's largest and best conference hotel. Complimentary WIFI and wired Internet access in each room. Fitness center and covered car park facilities. A trendy eatery offering "open kitchen" concept with freshly prepared dishes, inclusive Japanese section with sushi, sashimi, yakitory... Buffets are served in addition to an "a la carte" menu and an impressive selection of world wines. Dragon Tales Chinese Restaurant offers the the finest Chinese that is pre-dominantly from the southern region with seafood specialties. Eleven spacious private dining rooms are avaible for entertaining to impress your guests. A relaxing and spacious lounge that offers refined tea and coffee culture, as well as a bar with cocktails, fine wines and early evening "happy hours".